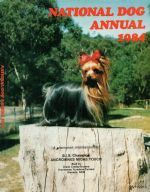 assisted in supplying the information for this historical page. 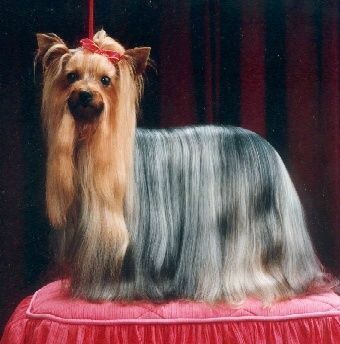 Douglas achieved 5 BISS Show Awards at the YTCNSW Specialty Show. 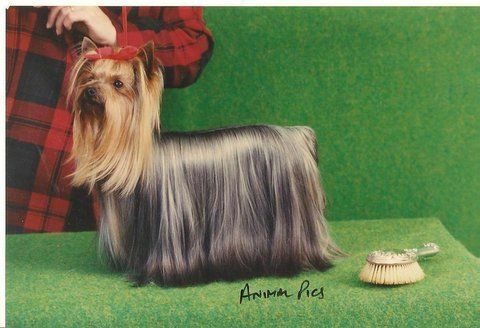 Owned/Present/Handled by Craig Emmerson and William Warke & Libby Eatts (Buidhe Yorkshire Terriers) Bred by Jolen Kennels. 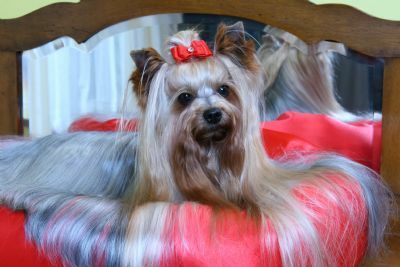 Sally also achieved 5 BISS awards during her career at the YTCNSW Specialty Show. 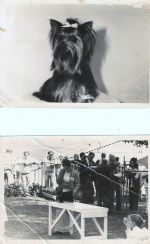 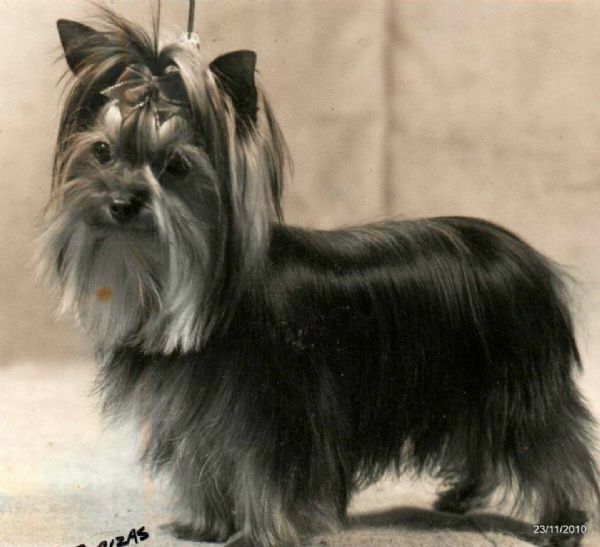 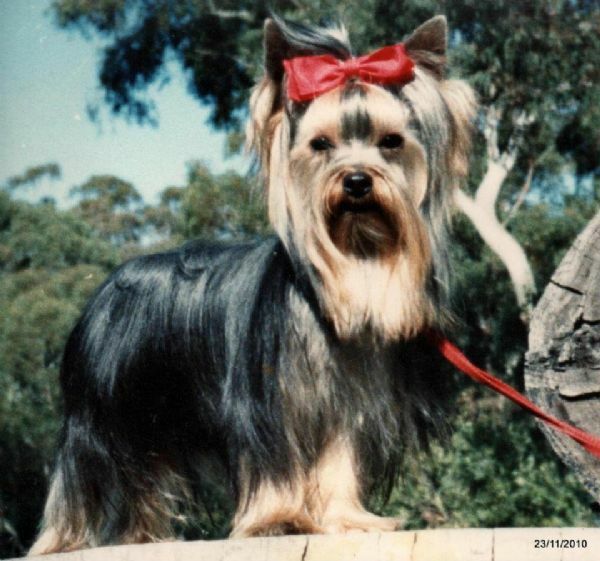 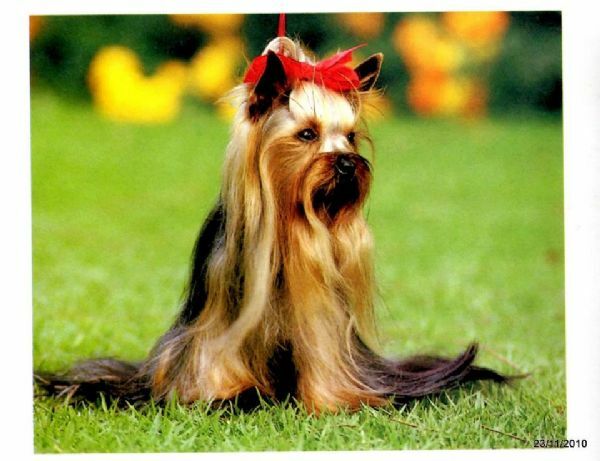 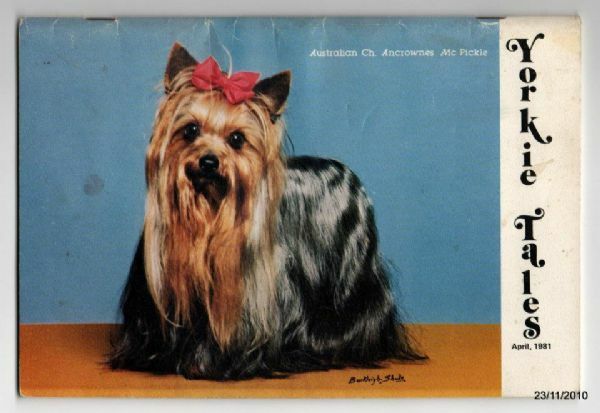 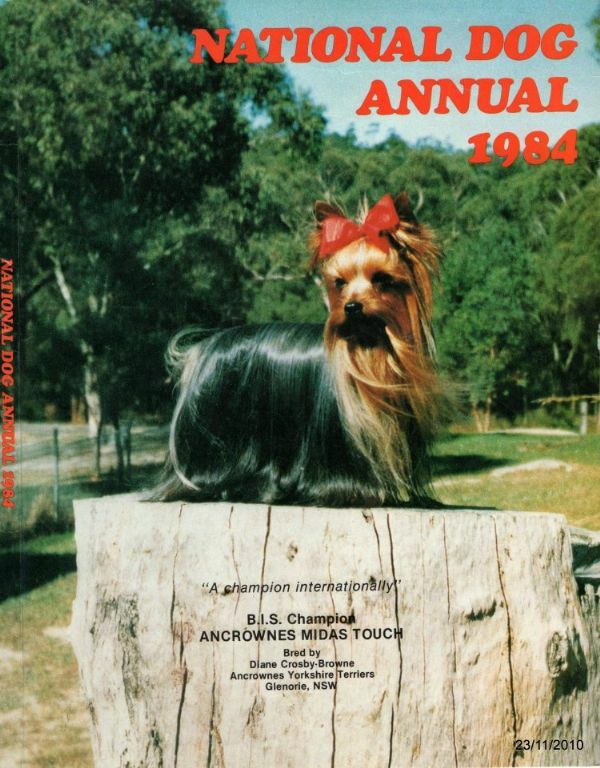 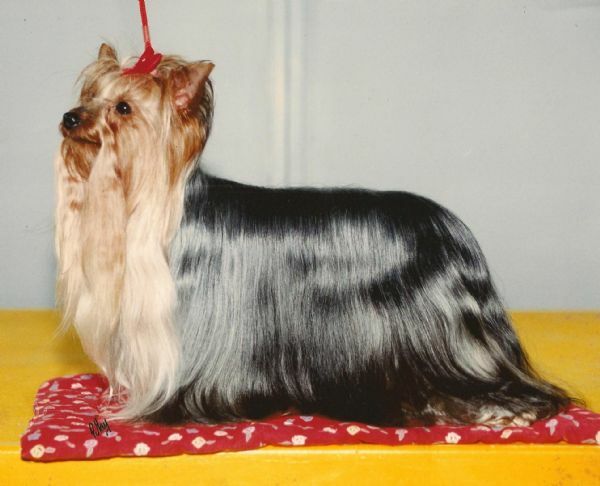 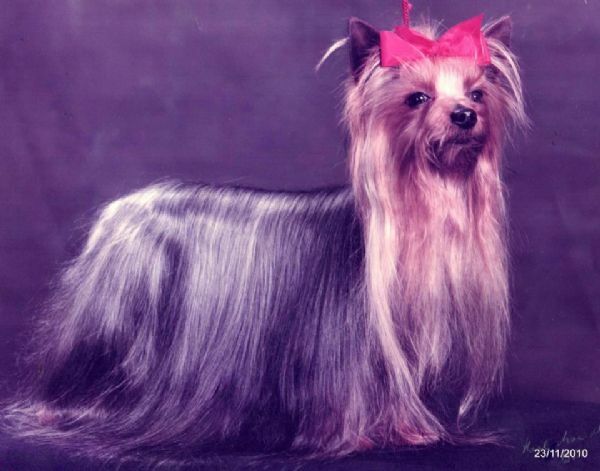 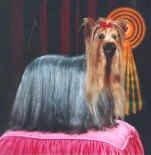 Australian Grand Champion Karojenbe Temptation was the first Yorkshire Terrier to achieve the status of Grand Champion in Australia. Sally achieved this award in 1998. 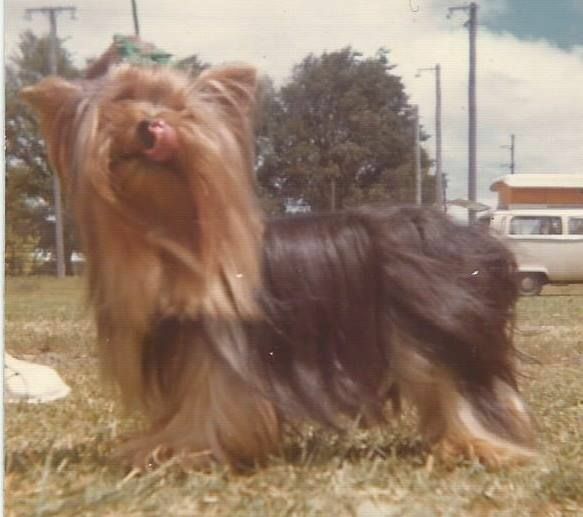 Australin Grand Champion Karojenbe Temptation was the first Yorkshire Terrier in Australia to achieve Grand Champion Status. 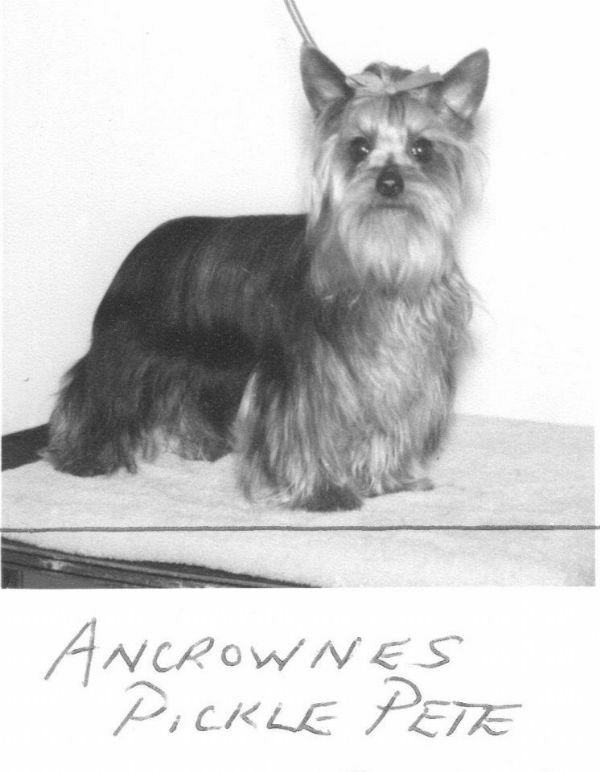 Ancrownes Gold Seal...Sire.Kerry of Blairsville (Imp. UK) Dam. Ancrownes Rebecca. 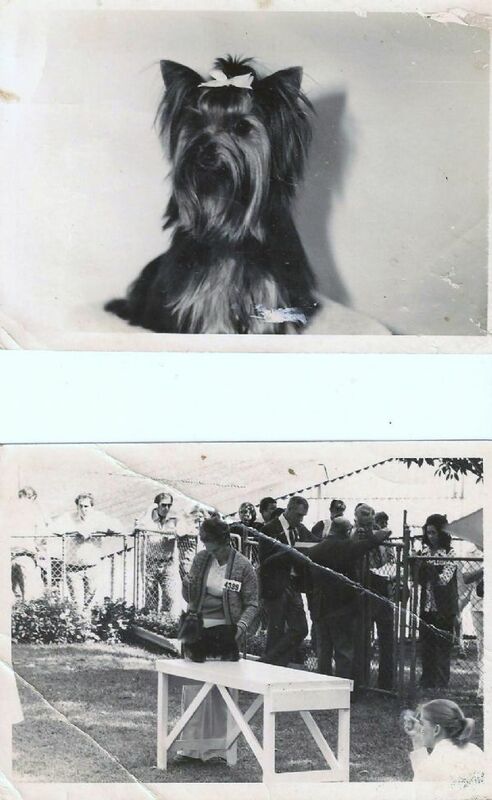 Owner/Breeder/ Mrs E Duff & Handler Mrs Linda Martin. 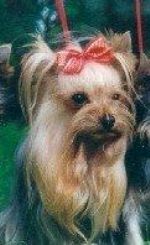 Linda's memories of "The Boy" are:"he was a true terrier - always wanting to take on the biggest dogs (rotties etc)!!"